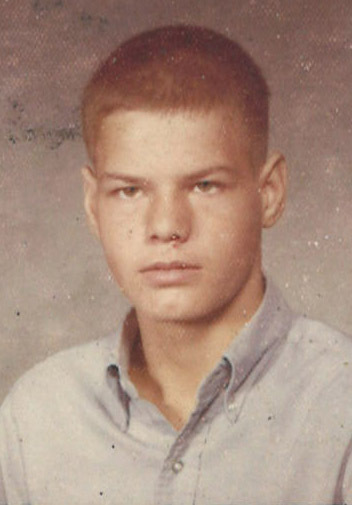 Herbert W. “Butch” Cooper, 58 of West Terre Haute & formerly of Attica, IN, passed away on Tuesday, November 6, 2018 at 6:40 PM in St. Vincent Hospital of Indianapolis. He was born in Terre Haute on November 7, 1959 to George Cooper and Ethel Weger Cooper. Butch loved to sing and do karaoke and enjoyed attending church, and especially loved being with family and was a Chicago Cubs fan. Butch is survived by his siblings: Rick Cooper (Sara), Bill Cooper (Chris), Liz Rogers (Charlie), Jeff Cooper (Kyla), Tony Cooper (Melanie), and Teddy Cooper (Lori). Also surviving is his girlfriend Donna, and several aunts, uncles, cousins, and nieces and nephews. He was preceded in death by his parents, and a brother, George Cooper. Funeral services will be held at Fitzpatrick Funeral Home, 220 North 3rd St., West Terre Haute, IN at 1:00 PM on Monday, November 12, 2018, with his brother, Bill Cooper officiating. Burial will follow at Bethesda Memorial Park. Visitation is scheduled for Monday from 11:00 AM – 1:00 PM in the funeral home.